Today is the last day of the sneak peeks for the September stamp release at Craftin Desert Divas. 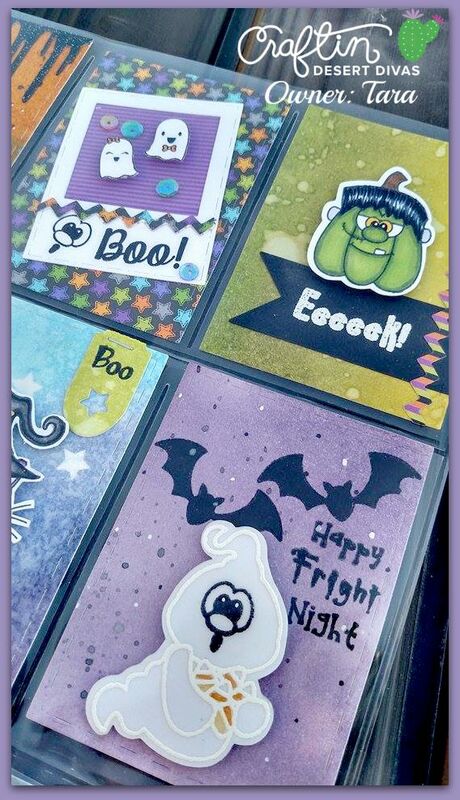 All stamps and dies will be in the CDD shop tomorrow. 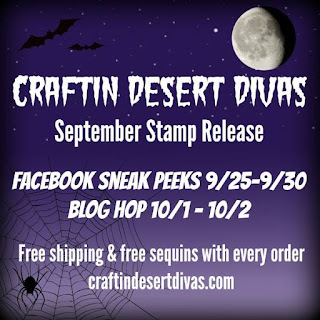 We will have a 2 day release blog hop starting tomorrow. I will be giving out 2 $25.00 gift codes to the CDD shop for those who comment during the blog hop. I will announce the winners on Saturday. Plus we still have 2 SVG freebies. 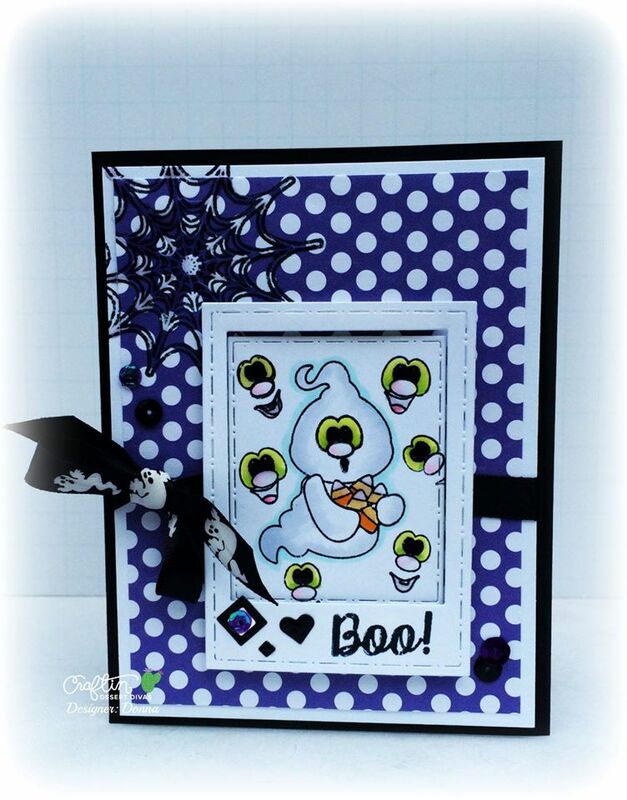 Designed by our very own talented CDD DT member Leah. 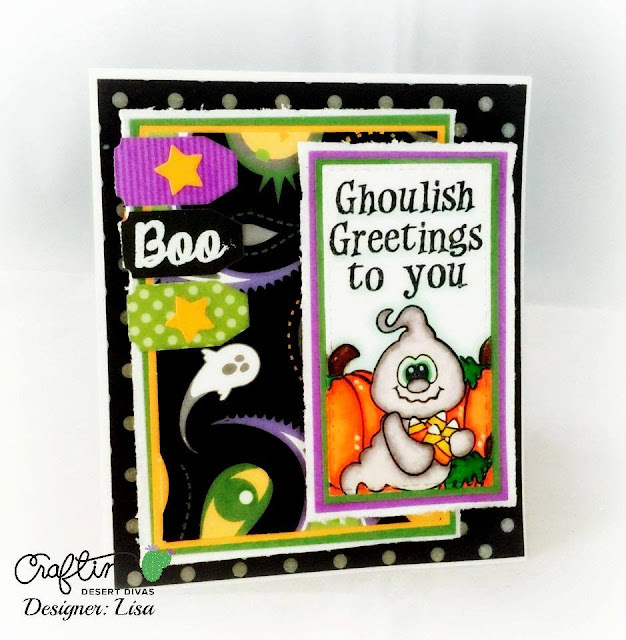 For today's new Pocket Pieces HI Dies I've made a Halloween themed pocket letter. 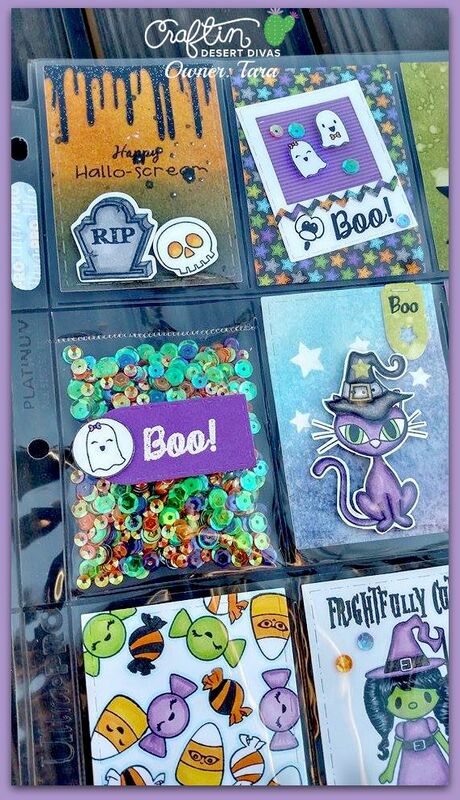 These are made out of the trading card holders. They are like a collection of mini cards. Lots of people swap them and I have been seeing them everywhere, so I wanted to give one a try. 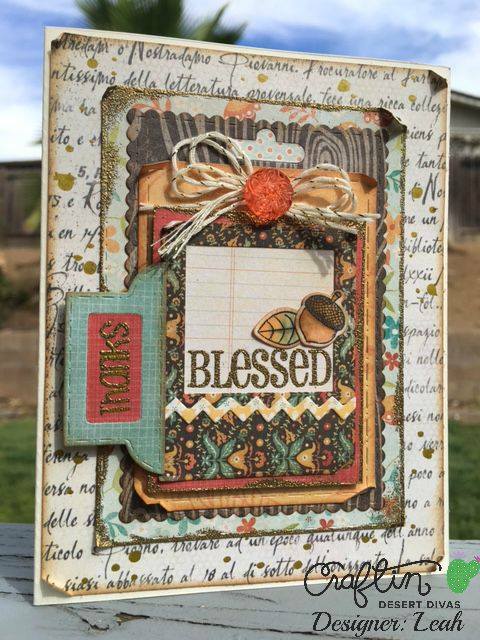 I've made all the bases from a stitched square in this new die set that fits perfectly in each pocket. WooHoo! 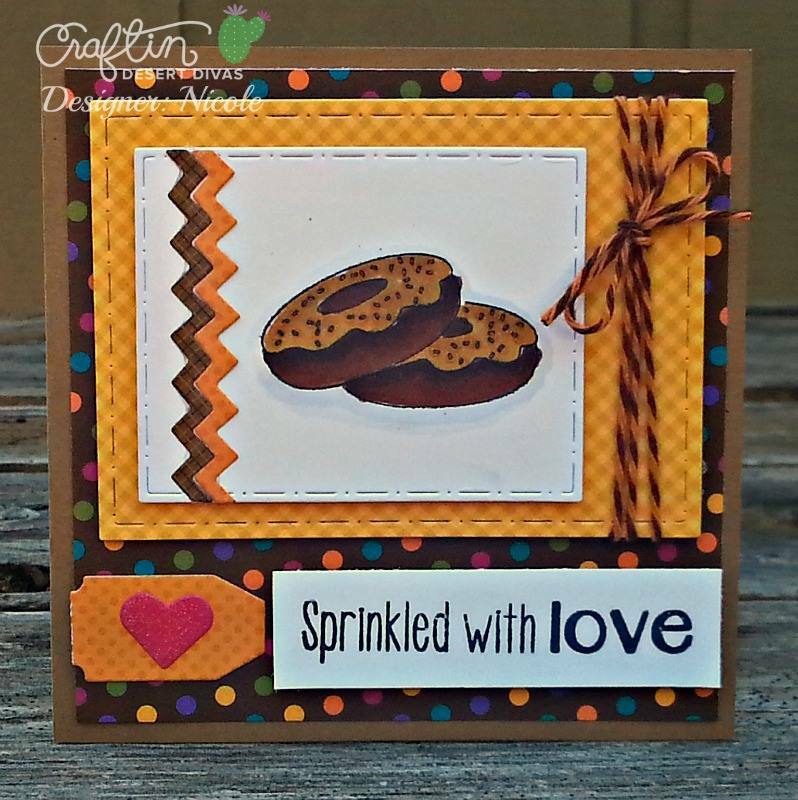 As you can see I've used lots of CDD Goodies on them. I've made the backgrounds from paper that I've water colored. 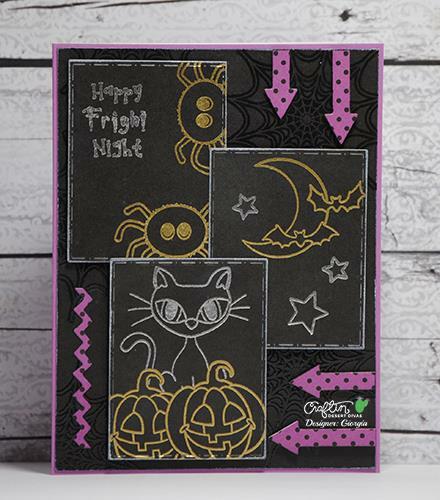 I've also used some Doodlebug Oct 31 paper pad. 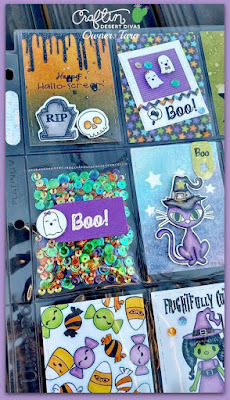 I've used lots of the dies from this Pocket Pieces HI die set, like the white photo frame, the banner, star and the tag that the "Boo!" 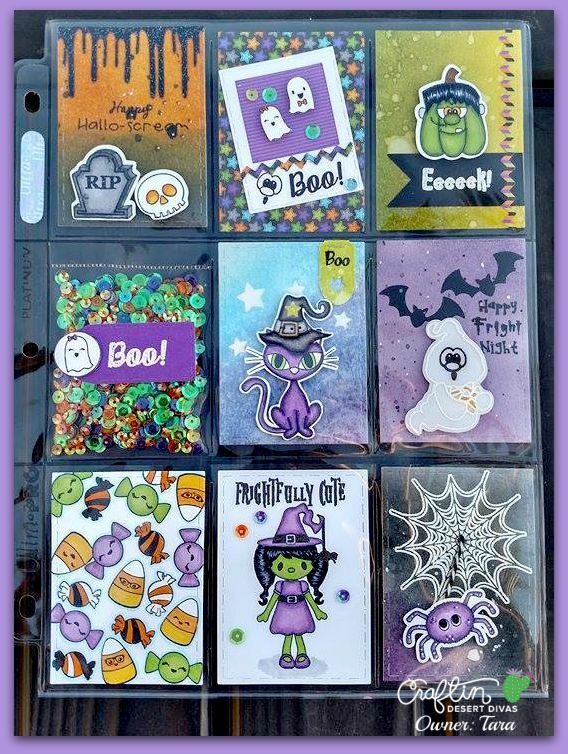 is on are all included in this new set of dies. The small ghost are from my Ghostly Greeting stamps. I've also made a shaker pocket with the new Trick or Treat sequins. I also made that candy paper from my stamps as I just love those sweet faces on them. 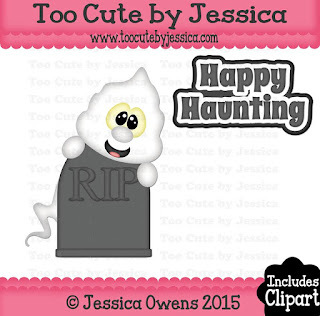 This ghost is from the new Boo stamps. 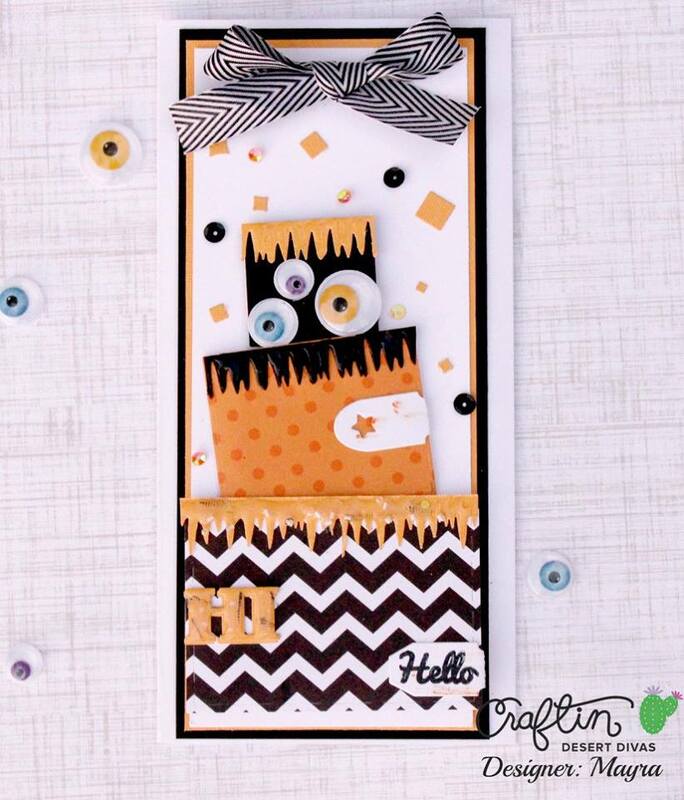 Franken pumpkin is from the new Hallo-scream stamps. This cutie is from my Wonderfully Wicked stamps. 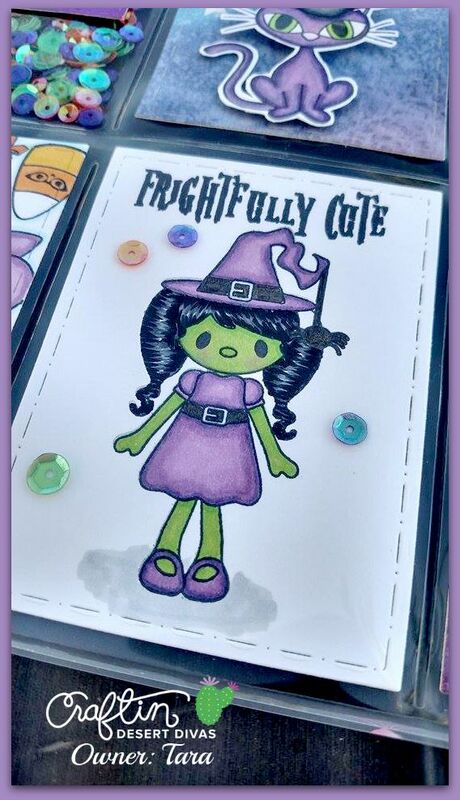 Everything was colored in with Copic markers. I will pick 2 winners from this release blog hop each to receive a $25. 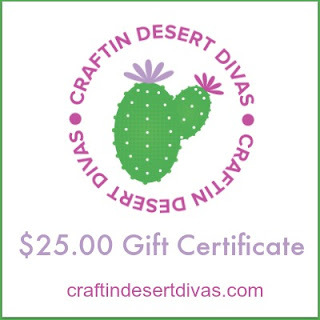 gift certificate to the CDD Shop. Winners will be picked using random.org from all the comments left from the stops on the hop. Winners will be announced on Saturday. 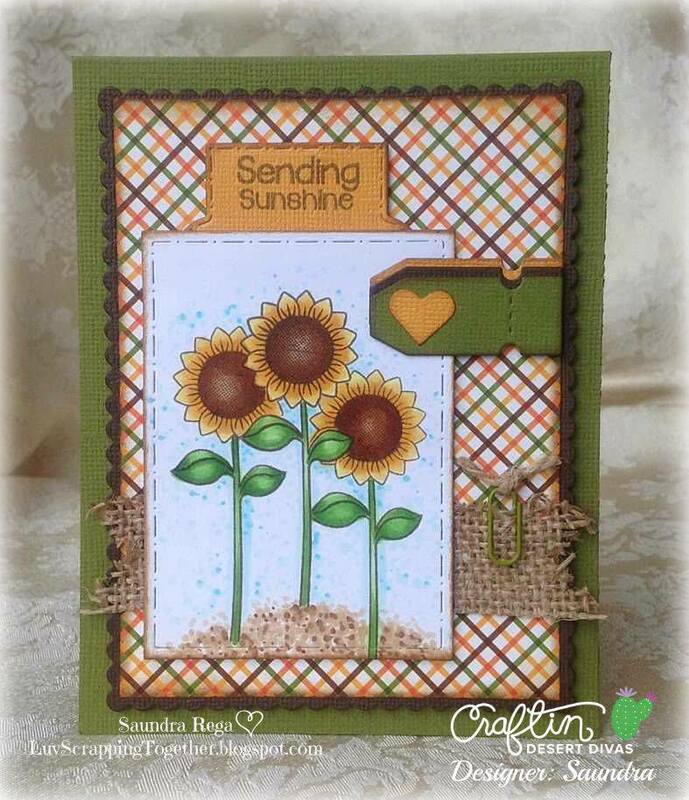 Join us this Tomorrow & Friday for our blog hop that will begin at the Craftin Desert Divas blog: craftindesertdivasblog.com and we will have more FREE SVGs. I'll be back tomorrow for our 2 day release hop. I love the pocket size goodies! And the stitching dies. I can't wait to see them in the store and check out the prices. GREAT pocket letter page!! These pocket size are 2 cute! MORE BOO-tiful and BEAUTIFUL projects!!! 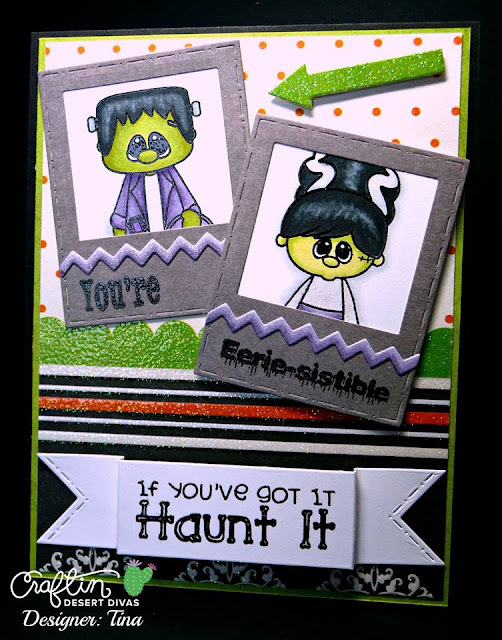 WOW - these dies are SO VERSATILE!!! THANK YOU for the CREATIVE INSPIRATION and CRAFTY TEMPTATION!! !